Motivation Blog Birthday - 10 Years Old! It is very hard to believe, but my "Motivation" blog is now 10 years old. My first post was on January 14th, 2007!! Back in 2007 I was giving this a try, but I'm not sure I was really expecting to be blogging a decade later. If you are so inclined, there are literally over a thousand old blog posts for you to check out! A recent birthday tradition I have had is to repost a favorite blog post from the prior year. The truth is that I really have two faves this year. Rather than try to repost them both, I am going to repeat one of them below and provide a link to the other. The 'other' is a post from back in February entitled "George Frena And The Big Wheel". So please do check that one out if you're interested to see what it was all about - there is a bit of WWII history involved with it. No, this isn't a post about a new baby (at least not a human one)......but it is about life in the world around us. I was photographing in a cemetery near my home about a week ago. Over the last six months or so I have gone there to take pictures many times. It is a beautiful and peaceful location. One of the places that I enjoy photographing in the cemetery is a pond that is surrounded by high reeds. 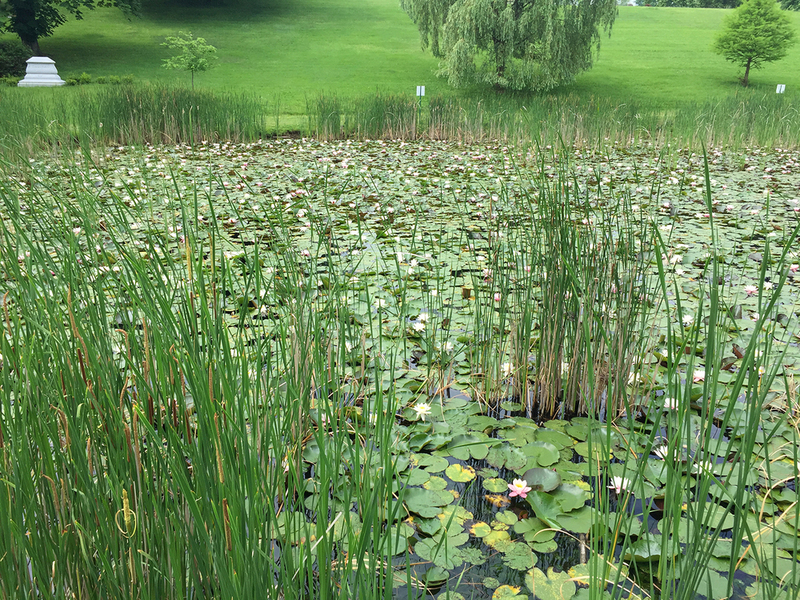 The pond, at this time of year, is filled with lotus flowers and various birds that live among the reeds and trees. On this particular day I went down to the pond with plans to photograph the lotus flowers. Here is a quick cell phone shot that I took as I walked down to the pond. This fawn must have just recently been born, as it could barely even stand. I used my 100-400mm telephoto lens to keep some distance between us and didn't stay too long in order not to stress it. 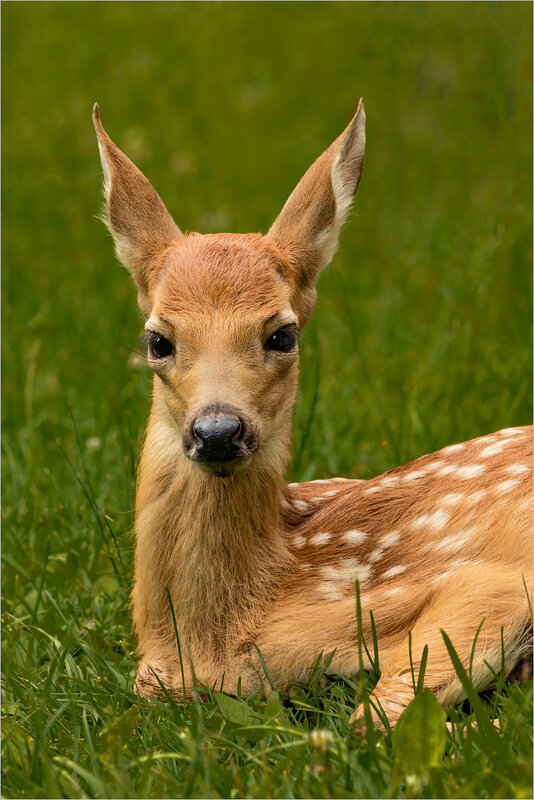 My understanding is that the mother leaves the fawn for several hours at a time in order to forage for food and that it is actually safer for the young this way in terms of predators. Based on what I have read (some interesting information here and here), the fact that it could hardly stand and seemed able to only walk a few steps puts it at less than three weeks old. It really was a privilege to be there and see this brand new life that had entered the world!